The true story of the infamous prison break of Gary Tison and Randy Greenwalt from the Arizona State prison in Florence, AZ, in the summer of 1978. 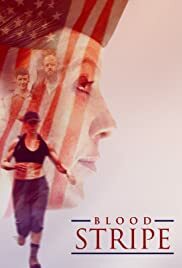 I'm just a movie novice but I can truthfully say that I enjoyed watching the Blood Stripe movie! I was caught up in the story from the beginning and really liked all the characters. Good job by the cast & crew! This movie is good as anything you'll see in the theater so go ahead and get it. You'll be glad you did.